First introduced in the mid-1980s, the tools for computer-aided design have developed rapidly. But the drawing methods of many engineers and designers have not. CAD software is frequently still used like a digital drawing board. The 2D working method takes precedent. The reason for this is often the fear of an increasingly complex design process. But the opposite is true. The benefits of the 3D working method outweigh 2D. 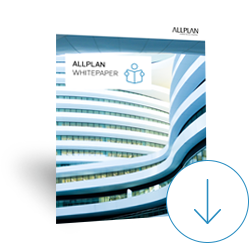 Learn from our white paper why there is no getting around the 3D working method for engineers and why especially smaller offices can increase their productivity by switching from 2D to 3D. Please fill out the adjacent form to be able to download the whitepaper. After that you will immediately receive the PDF "30-35 percent increased design productivity using 3D modeling in engineering offices".